A bold choice and a project built with time… Architecture in store and online ! Imbernon Publishers and Booksellers are both located in Le Corbusier building, on the 3rd floor (or 3rd street as it's said here). We are specialised in architecture, town planning, contemporary design, decorative and fine Arts at the same time. The bookshop presents an important selection of new, second-hand and antiquarian books, especially about and by Le Corbusier. The settlement of a new business -the bookshop- in 2002 in the ‘Winter garden' created the surprise and was however warmly embraced by most of the various visitors. The housing Unit, or "La Cité Radieuse" of Le Corbusier is a private building, and has been listed as a historical monument since 1986 and "Patrimoine mondial de l’Unesco" since 2016. After a flourishing period for al sorts of little shops (such as hairdresser’s, butcher’s grocer’s… ) the 3rd and 4th floors now host a majority a majority of independent workers and architects as well as some new boutiques of fashion design. Thus, in order not to disturb the inhabitants, visitors may come from 9am to 6pm all week long, and are allowed to visit the 3rd and 4th floors as well as the rooftop. The settlement of the bookshop in a building that is one of the most important icons of the 20th century architecture is not fortuitous. 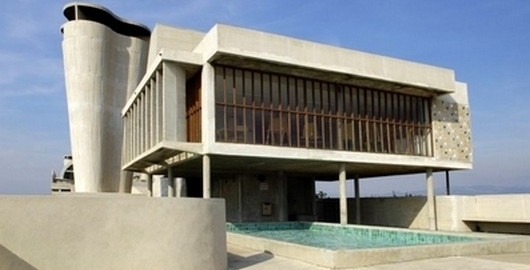 It meets a will of specialisation on architecture and City related topics. 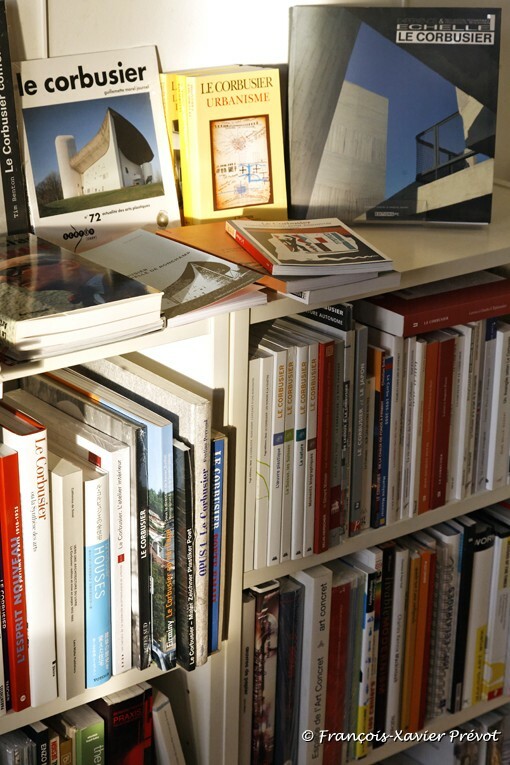 - New books, mainly related to architecture and town planning of the 20th and 21st centuries. - Second-hand books on modern or 20th century architecture, including rare books. - Books on design, fine arts and garden design - including DVDs. - Some children's books, pop-up books, on house construction, architecture and city related topics... both fun and educational. Meet-the-author and signings are regularly offered to the public. Since 2006 we've been planning a specific show, entitled ‘Quand d'Architecture se livre...', and the book trade fair ‘Lire en Fête' (archives 2006, 2007, 2008), which celebrates children's literature. We received authors like David Carter, Claude Ponti, Anne Herbauts, Max Ducos, Katsumi Komagata, etc. Besides, we are members of the association Libraires du Sud (Southern Booksellers). We like to create events aiming at improving the image of books, among which, the Price for Children's Book in Marseilles (Prix du Livre Jeunesse). You will find information on these events on the page 'News'.